On October, 28, at «The Strategy of Brewing Industry Development in Modern Conditions» international conference in Moscow Sun InBev company presented the first results of research proving that the use of PET bottles in brewing production is safe for consumers. 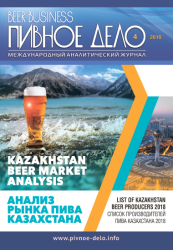 This research commissioned by the Union of the Russian Brewers was carried out by specialists of the Analytical center of Lomonosov Moscow State University. The center carries out researches in the field of food-processing industry on a regular basis. 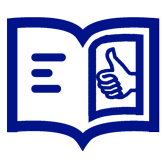 It is certified by Rostehregulirovanie, has accreditation in the government environmental control field and the certificate of radiological testing laboratory. The team of researchers headed by A. Pirogov, Doctor of Chemistry, found out what chemical substances and in what quantities transfer from PET in alcohol-containing solutions. The experiment was carried out on the basis of PET samples present at the today's market. 8% ethanol modeling beer was used as a working solution. Besides, for the proof of complete safety of PET the experiments were carried out in a more aggressive environment – in 96% ethanol heated up to 70С and irradiated by ultrasound. But the research has proved that there is no danger in PET usage even in conditions which potentially faciliate active transition of chemical substances from PET to solutions. During the experiment the comparative analysis of results with sanitary and hygienic safety performance of the Technical regulation of the Customs Union "The Packaging Safety" was carried out. The research results have shown that the content of normalized chemical substances are 40-170 times less than safely admissible level. "We plan to continue the experiments, but the first results have already proved that PET packaging is not a threat for health," said Erin A., Candidate of Chemistry, the experiment curator and representative of Sun InBev company. 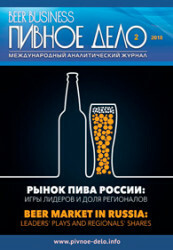 Brewers decided to carry out the research after The Federal Service for Alcohol Market Regulations of the Russian Federation had published the Technical regulation project "On Alcoholic Products Safety." The document includes the norm of ban on PET packing use in the brewing industry. Though The Federal Service for Alcohol Market Regulations hasn’t officially announced that use of PET in the brewing industry negatively influences consumers' health, the fact that the ban on PET is included in safety clause could mislead consumers. 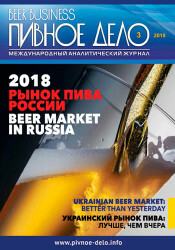 Now, having the results of research carried out by professionals, the Union of the Russian Brewers declares that beer in PET is safe. While business tries to struggle with injustice and to prove safety of goods for consumers, the reasons of including PET use prohibition in brewing industry in Technical regulations remain a riddle.